NEW YORK — We can fly now, of course. But sometimes we don’t. As with much of his country’s political theater, North Korean leader Kim Jong Un’s trip to visit China’s leader this week was calibrated carefully — to deliver, as always, maximum visual propaganda power. 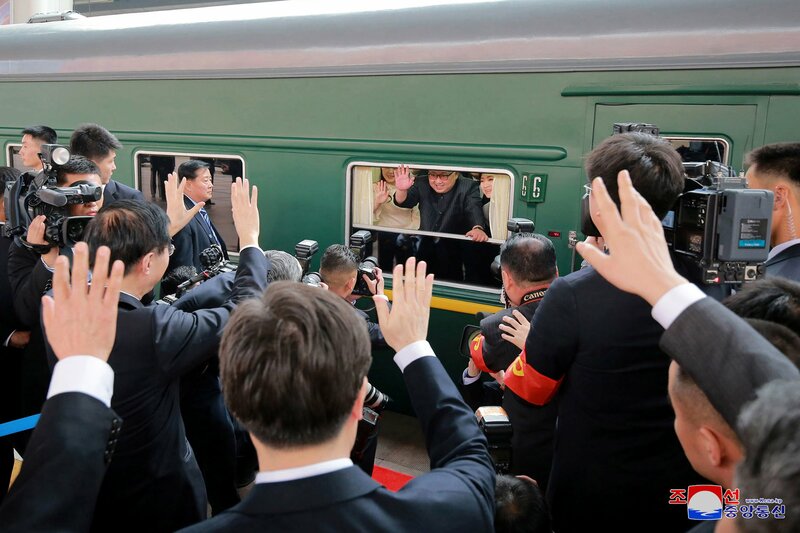 As part of that, and part of a Kim family tradition of rail travel, he got from Pyongyang to Beijing by train. Trains emphasize connectedness. And tracks – be it on a railroad across a nation or continent, a regional rail across a metropolitan area, or a commuter train across town – are, by definition, connectors. A railroad offers the feel of a place always in motion, where passengers congregate to move around the map and where those outside participate in and ponder arrivals and departures. It conveys a sense — accurate or otherwise — of being a place by, of and for the people. Perhaps that’s why it is such a potent visual, and such a visually appealing method of transportation, often trotted out by leaders trying to mingle with the public — or just be perceived as doing so. Here is a collection of images of the world’s leaders through the years who used trains and their tracks to connect with people and to move through the landscape in ways seen as appealingly, and politically, accessible.